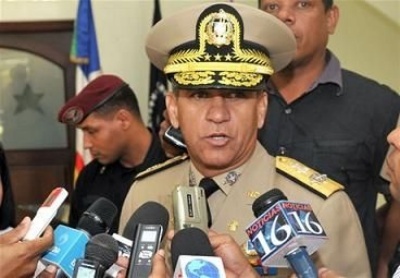 Santo Domingo.- National Investigations Department (DNI) director Sigfrido Pared on Fri. said Dominican authorities don’t have any kind of alert from Puerto Rico on the presence of members of an alleged drug gang that has taken root in Dominican territory. “These are really the cases that occur and many times some neighboring countries that do not alert other nations provoke this type of evasion on the part of those who commit, in this case the crime, they say that they are supposedly in the Dominican Republic. For our part we do not know who the members of that band are,” he said.